If there’s one ingredient I’d pick that I can’t live without, it has to be tofu. 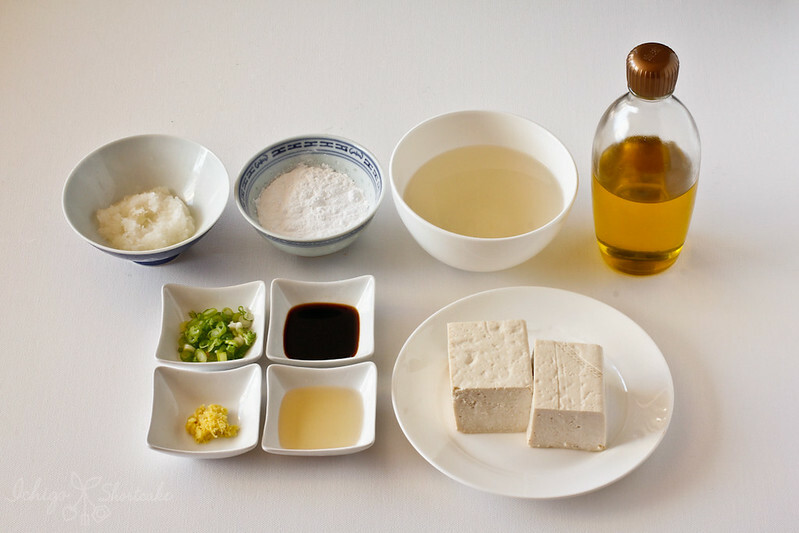 Tofu, for those of you who are new to Asian cuisine, is made from coagulating (or curdling) soy milk from soy beans and then pressing the curd into blocks (it’s like cheese, except born from soy beans instead of cow or goat). They come in soft, firm or extra firm varieties depending on how much moisture is in them. The interesting thing with tofu is the fact that there’s many side products made with tofu such as tofu puffs, tofu skin, many different types of dried tofu, egg tofu and you can eat them frozen and defrosted (often done in hot pot), silken tofu can be eaten raw mixed with some condiments (mum loves to eat it this way), fried, stir fried and so on and so forth. The uses are just endless. So as you can see, it’s a very versatile ingredient that won’t overpower your dish but will add a depth of flavour and refreshing feel at the same time providing an essential source of protein. If you’re vegetarian, tofu is your friend as tofu is known to be part of every Buddhist monk’s vegetarian diet. Tofu is said to have originated in China some 2000 years ago and has since been introduced into nearly East Asian cuisine. Classic Japanese dishes like miso soup and agedashi tofu have tofu as an ingredient and in Korean dishes you will find tofu in nearly every kimchi soup. Silken tofu is actually not hard to make. Many restaurants probably make their own silken tofu to put in tofu flower (豆腐花) as I know my dad has made it at home before. As a child though, no one needed to make it as there would be fresh tofu merchants carrying bucket fulls of different types of tofu into the fresh produce market and you can take your pick. The smell of freshly made tofu is seriously mouth watering, just like the smell of freshly made soy milk from the machine. After eating so many different types of tofu though, I still prefer my tofu almost in its original state where I can taste the natural soy flavour and what better way to do it than in a big slab as Yuye’s agedashi tofu is! Some people make their agedashi tofu into smaller pieces but we prefer it in a big piece. You can do either, it’s really up to you. 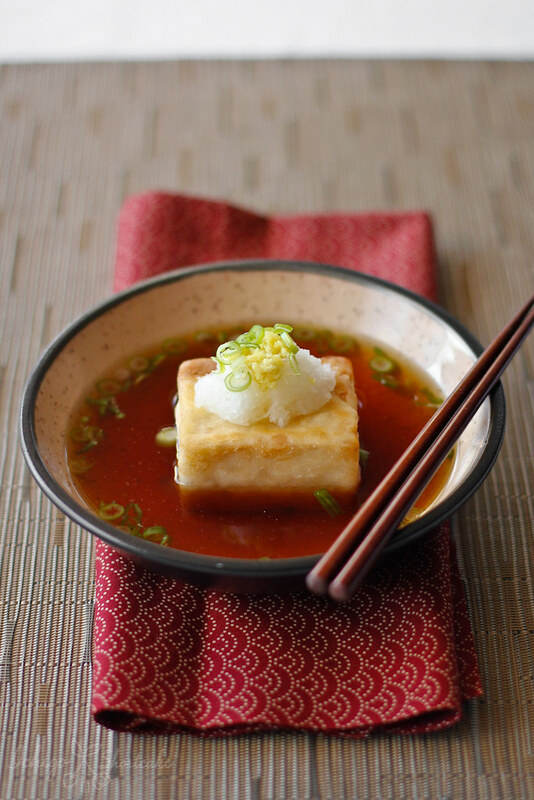 Agedashi tofu is a very fast and simple Japanese dish where tofu is the star. If you have never tried tofu before, I hope this recipe will inspire you! A Japanese starter with crispy fried tofu in a light soy-based sauce seasoned with daikon radish and ginger. Pat dry tofu pieces with absorbent paper towel, being careful not to break it. Heat oil in pan to medium high heat and fry tofu on all sides until golden brown. Heat dashi stock to simmer, remove from heat and add in soy sauce and mirin. Add salt to taste. Place dashi sauce mixture in bowl and add in tofu. Top with daikon, ginger and spring onion to serve. 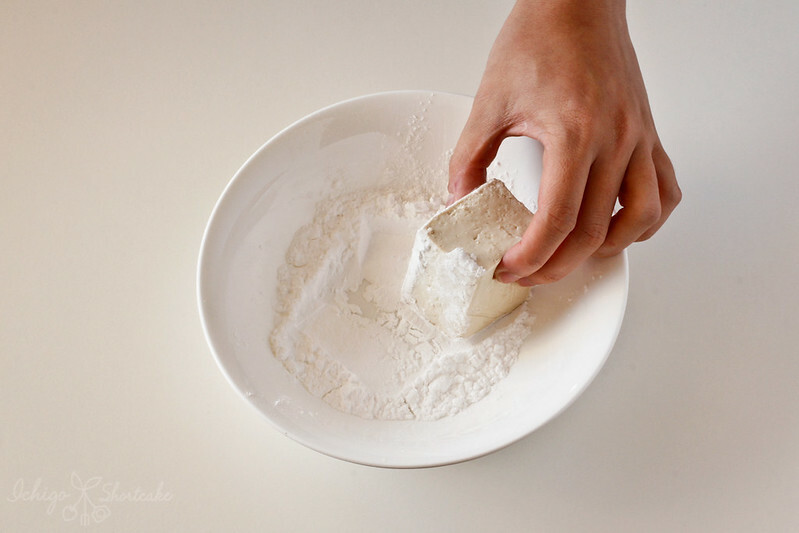 *For a puffy surface, fry tofu immediately after coating in cornflour, without letting the coating get dampened. Make the dipping sauce for the agedashi tofu at the end to ensure the dish is hot when served. 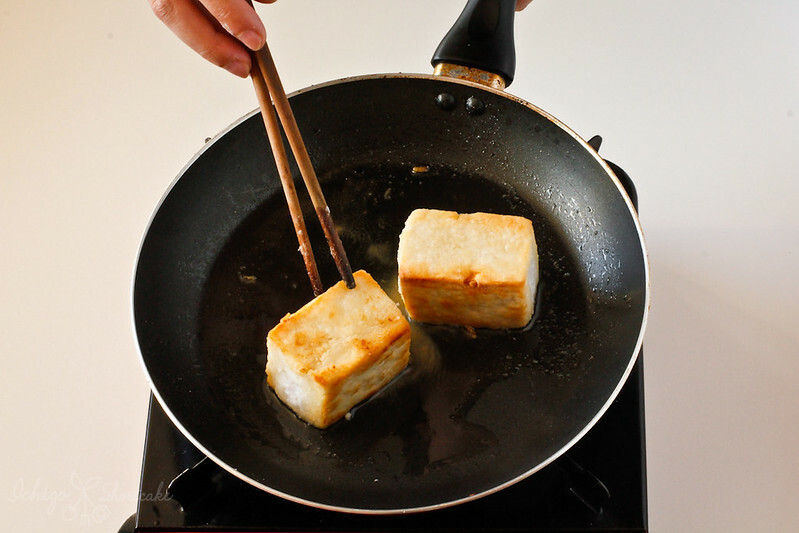 The tofu can be deep fried or pan fried in shallow oil. This recipe contains steps for pan frying. 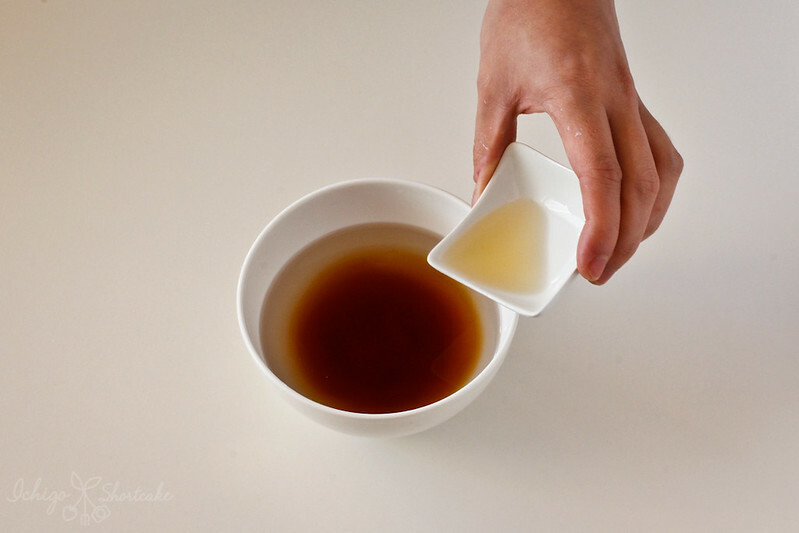 Using instant dashi saves a lot of preparation time, but freshly made dashi is ideal. Love how simple this is and it’s just a perfect piece of tofu in a bowl. I almost always have a block of tofu in the fridge; we all love it and I could eat some everyday, it is so versatile! This tofu is so good…and so easy to prepare…thank you so much for the recipe…I too like tofu, but always do not know what to do…most of the time I end up adding it to my smoothie…I like this thin and crispy layer…and the sauce is so tasty! 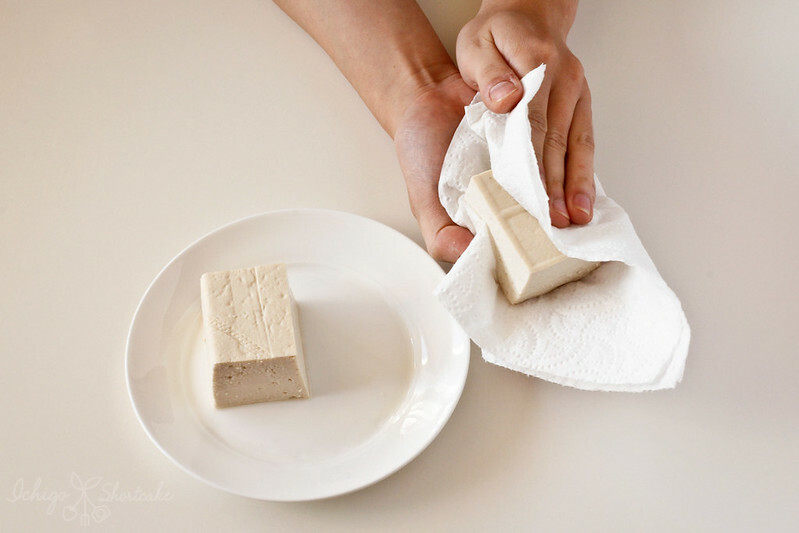 I still remember making tofu with a friend and the smell of it fresh was wonderful – so I envy you having fresh tofu available often as a child – I think I would have been much happier with this than the meat we always had about – but am now making up for a childhood without tofu. This looks delicious and so simple. I guess it is a matter of getting the tofu fried nicely to make it work. Living in a predominantly vegetarian household.. I cook tofu a lot – so this recipe is ideal for me. Thanks for sharing it!